“This was an incredibly difficult decision to make, but ultimately one that best serves the 375th AMW and the 18th” Air Force, Tuck said in the release. The release did not offer any further details on what caused Tuck to lose confidence in Howard. 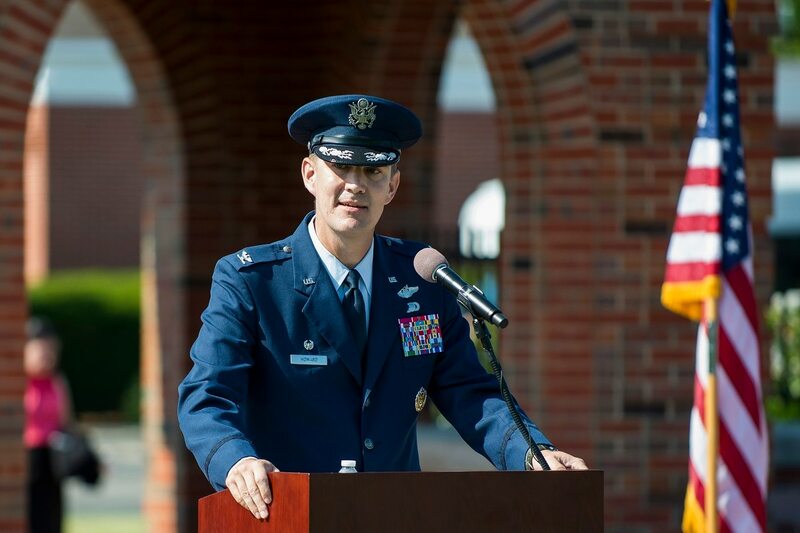 Col. Chris Buschur, vice commander of the 375th, is now the wing’s interim commander. Howard took command of the wing on July 24. He previously served as vice commander of the 100th Air Refueling Wing at RAF Mildenhall in England. He is a command pilot with more than 3,000 flight hours in aircraft such as the C-40 and KC-135. The Belleville New-Democrat reported Monday that Howard was slated to deliver the commencement address at Southern Illinois University Edwardsville on Saturday in honor of the 100th anniversary of Scott. However, the New-Democrat reported that he was pulled Monday, and Col. Marc Packler, commander of the 375th Communications Group, will instead deliver the address.